Companies of all sizes use AWS Direct Connect to establish private connectivity between AWS and datacenters, offices, or colocation environments. Compared to Internet-based connections, AWS Direct Connect can reduce network costs, increase bandwidth throughput, and provide a more consistent network experience. AWS Direct Connect (DX) Bundles are a set of advanced hybrid reference architectures proven to reduce complexity and provide peak performance highlighted by use case. Easily extend your on-premises best of breed networking, security, storage, and compute technologies to the AWS Cloud. The Direct Connect Bundle for End User Computing highlights the use case between Amazon Workpsaces and CenturyLink Cloud Connect. AWS and CenturyLink enable enterprise applications, data, user workspaces and end-point devices to be woven together into an optimized and secured Enterprise Grade virtual application delivery platform. As End User Computing workloads migrate to the AWS Cloud, Direct Connect powered by the CenturyLink network will enable a higher level of end user satisfaction by delivering private connectivity versus over the public internet. The CenturyLink Powers Amazon WorkSpaces DX Bundle is a great use case that highlights the use of AWS Direct Connect to reduce your network costs, increase bandwidth throughput, and provide a more consistent network experience. The SaaS Architecture Direct Connect Bundle enhances the quality and experience for enterprise customers migrating applications to the AWS cloud, the Internet connection that provides access can be a cause for concern. You want the cost efficiency and flexibility of AWS cloud technology – but want to avoid the risks of poor performance and security threats that public Internet connections can bring. AT&T NetBond has collaborated with leading AWS application service providers and Advanced APN Technology SaaS partners Infor and Pegasystems. These joint collaborations can enhance your cloud connectivity by delivering the best of both worlds: The performance and network security of your MPLS virtual private network (VPN) coupled with the speed, agility and powerful capabilities of AWS cloud solutions. Providing a greater user experience for their cloud customers. Infor builds business software for specific industries in the cloud. With 15,000 employees and over 90,000 customers in more than 200 countries and territories, Infor software is designed for progress. Pegasystems develops strategic applications for marketing, sales, service, and operations. Pega’s applications streamline critical business operations, connect enterprises to their customers seamlessly in real-time across channels, and adapt to meet rapidly changing requirements. Pega’s Global 3000 customers include many of the world’s most sophisticated and successful enterprises. Pega’s applications, available in the cloud or on-premises, are built on its unified Pega® 7 Platform, which uses visual tools to easily extend and change applications to meet clients’ strategic business needs. The Aviatrix and Megaport AWS Direct Connect Bundle provides a combined solution for all types of encrypted cloud connectivity between public AWS cloud regions, between enterprise datacenter and AWS cloud and VPN user access to clouds. Secure Hybrid Cloud: Joint Aviatrix and Megaport solution provides enterprises with rapid provisioning and a secure, scalable interconnection architecture with on-demand cloud connectivity to meet the demands of a growing enterprise. This AWS Direct Connect Bundle combines Riverbed’s industry-leading SteelHead WAN optimization solution, Verizon’s Secure Cloud Interconnect and Virtual Network Services solutions, and AWS’ Direct Connect solution. 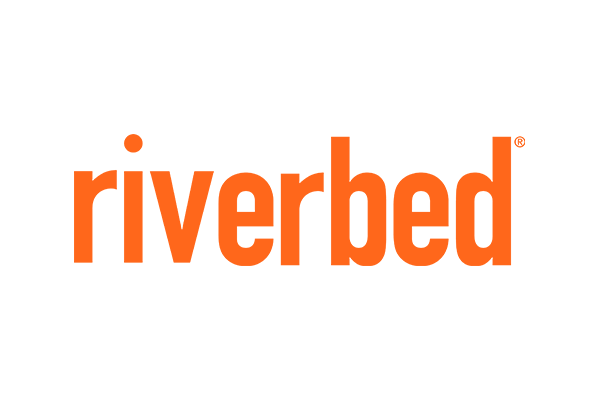 The Riverbed and Verizon Direct Connect Bundle allows enterprise customers to address the challenge of providing secure, optimized access to AWS services in a hybrid network. With this solution, enterprise customers can connect their branch offices and data centers to AWS environments through managed, secure and optimized network services.